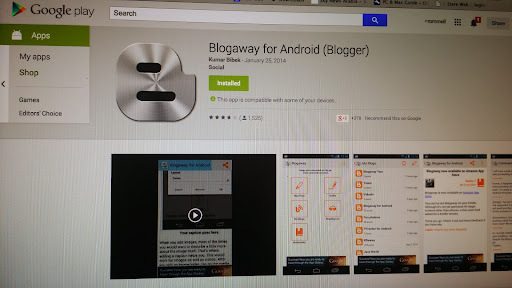 Good thing about technology is that they make life easy.Especially with blogging.I'm using Blog away for android.Just download the apps and use your account and automatically it will download all your post. What I love with this app (s that I can use all the features that blogger.com offer. I can actually make and Insert photos and Maps. I can also justuse my stylus and no more typing required. Love my note3. Now Blogging is easy and rewarding.